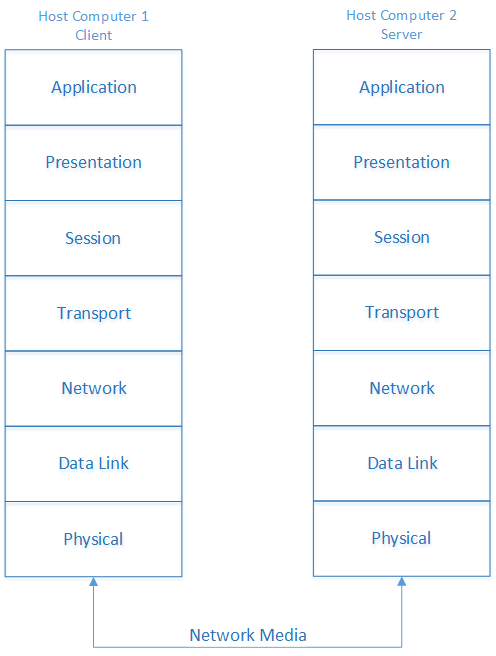 In Part I of The Seven Layers of Networking blog, John began a discussion about the layers of the Open Systems Interconnection (OSI) model. The first four layers, which you can read about in that blog, are the Physical layer, the Data Link layer, the Network layer, and the Transport layer. In network discussions, you'll most often encounter the first four layers. The final three layers, the Session layer, the Presentation layer, and the Application layer, are not as commonly discussed but are still essential to a network. This blog will cover those three layers and the encapsulation process that occurs when one host communicates with another. Then you'll have to stay tuned for Part III, which will cover a related-yet-different layered model, the Transmission Control Protocol/Internet Protocol (TCP/IP) model.